How to Make a Rope Braid? Show me one woman who does not dream about having those fairy tale braids on her hair. Braids can be of varied styles. The rope braid out of all is drawing a lot of hype right now in the world as evident from the New York Fashion Week. What is making it special is a little twisted fluffy style which gives a feeling of a plait with a little casual approach. Not just it has been seen to be sported by celebs but also by the girl next door. The rope braid with its twisted form looks classy and complicated when viewed. But in reality it is not much complicated at all. As the name suggests making a rope braid like this one needs to twist hair from one direction to another neatly. The two sections must be wrapped first together and then in opposite directions. The contrasting directions of the braid give it a strong and neat look. This goes great in ponytails, buns or simple chigons. Remember to always brush and make your hair clutter free before starting out to style it. This adds a very neat and clean feel to whatever style one does. Fairy Tale Rope Braid Style – This is the best way to display an ultra feminine look with this soft rope braid with a fairy tale feel added. Here at first you need to curl your hairs and break them with a wand. Once curled make a rope braid using two inches of hair sections from behind your ears. 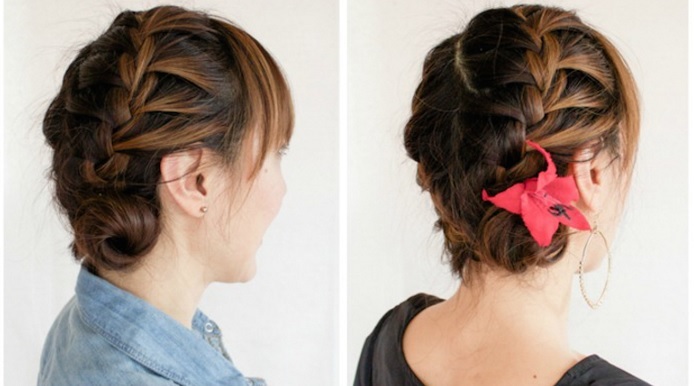 Drape them on top of the head and then secure it with a hairspray. Quick French Rope Braid – Here is a quick way to make a rope braid with a European appeal. Recreating new looks on a daily basis now is a piece of cake. The picture itself says it all. Side Rope Braid with Ponytail – This kind of a rope braid saves you on a bad hair day or on a day where time is short. Such styles is not just limited to work but also can be worn at café, walks or evening hangouts with friends. Adding ribbons make the final look much better. Milkmaid Rope Braid – The milkmaid rope braid is simply classic and spectacular. Elegant in its own genre, this style is easy to be made. Depending on your mood you can make this. If you want to spice it up a little then add some girly hair accessories. 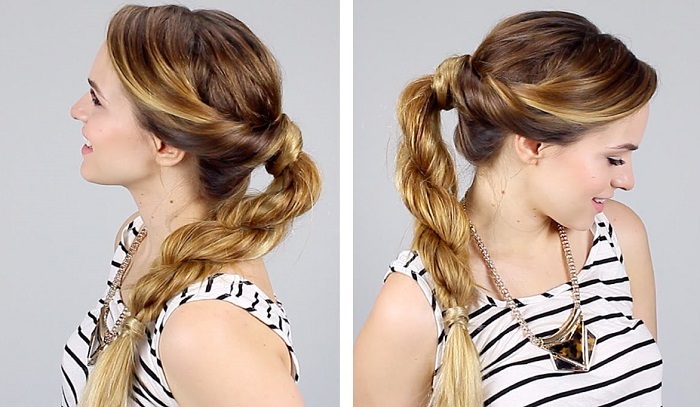 Rope Bun Braid – Late for office and you are just having 3 minutes and hand to look your bets. No worries. The bun style covers up everything that lies underneath. This rope up do twisted and tucked like a bun gives you an elegant look. It can be sported to almost all kind of attires. For the holiday seasons there can nothing be better than this. Such a hairstyle wonderfully suits every occasion. It is a great combination of simplicity and a small sprinkle of glamour. For any products related to hair-styling or cosmetics, do browse our Shopclues Offers page & order home the finest brands products at almost half their price. Shopclues has all types of hair-styling products from all top leading brands worldwide.